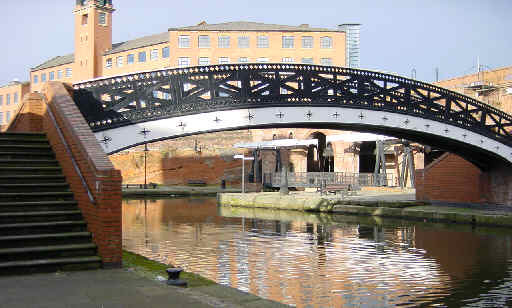 In 1765, the Bridgewater Canal was opened at Castlefield, creating a level link by water between the Duke of Bridgewater's coal mines at Worsley and the centre of Manchester. 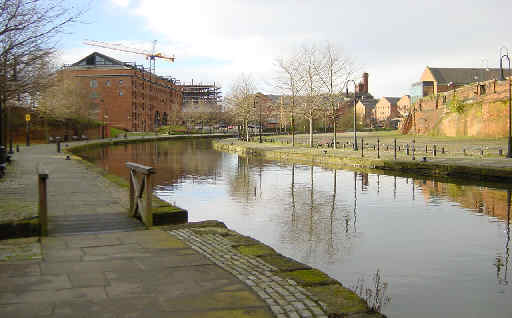 At Castlefield Junction the canal linked into a stretch of the River Medlock that had been incorporated into the canal and used as the basin for the canal wharves. 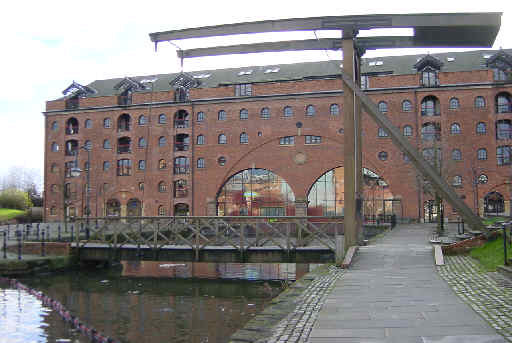 Many of the great warehouses built around this basin are still standing and have been converted for modern use. 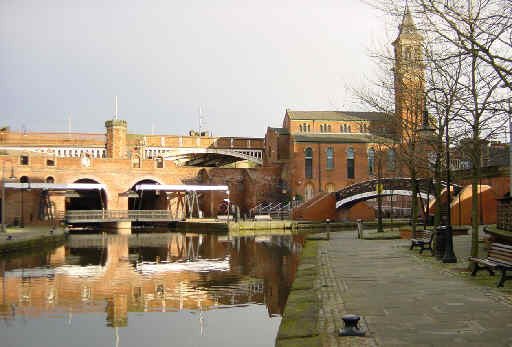 Castlefield has undergone regeneration and is now an attractive and fashionable area. 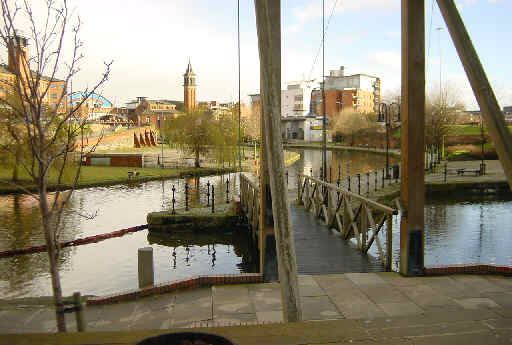 Looking towards Castlefield from the Deansgate end where the River Medlock flows into the canal basin. To the left are the remains of the former Grocers' Warehouse. The Rochdale Canal passes behind this and through the railway bridge. Brindley constructed a 220 yard tunnel through the warehouse to an underground loading area. Goods were raised to street level by a hoist. Looking west towards Middle Warehouse. This eastern end of the Bridgewater Canal was originally part of the River Medlock. Looking east from Jackson's Wharf. Click here to go to Castlefield Part 2.